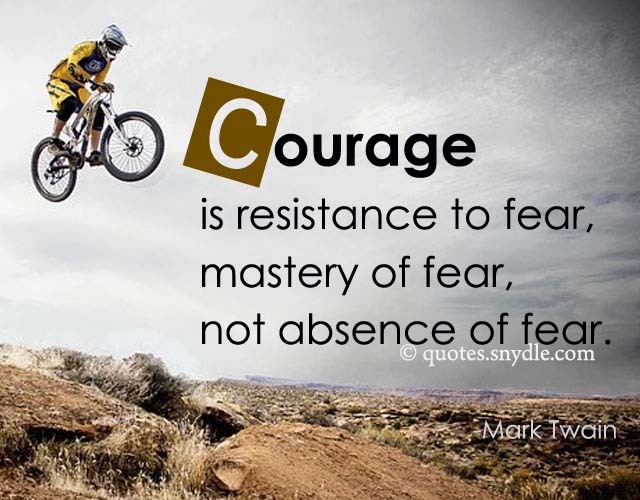 Courage is not the absence of fear, rather it is action in spite of fear. 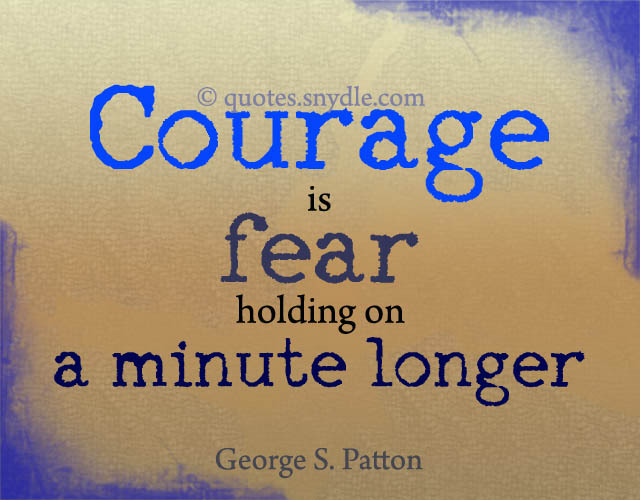 Everyday people are faced with situations that call for them to be courageous. 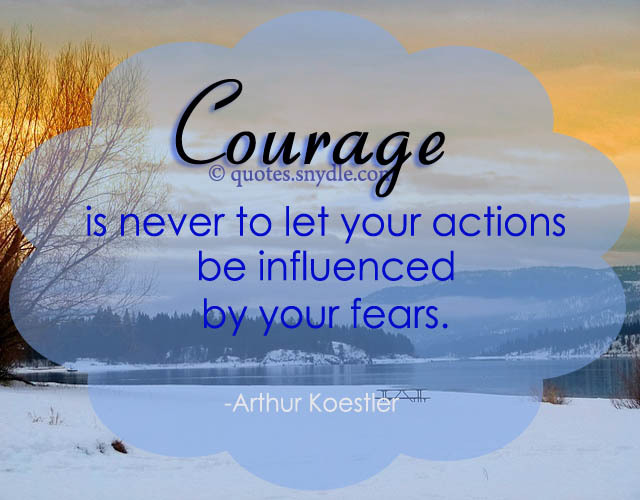 Many are able to face their fears and take them on and act in a courageous way to achieve their dreams or hopes. 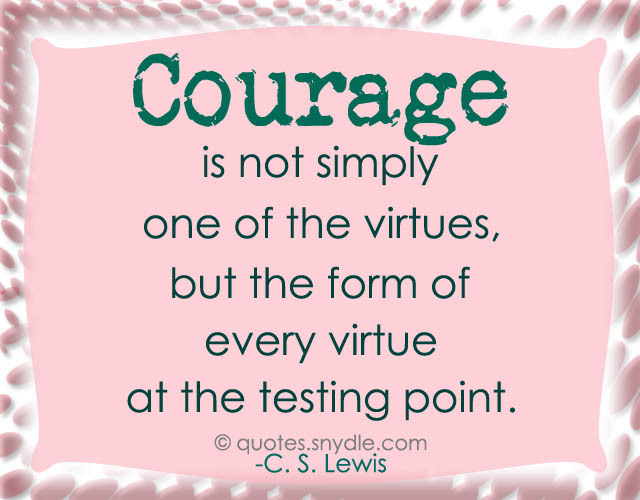 Courage is the power or quality of dealing with or facing danger, pain, fear and other adversities. 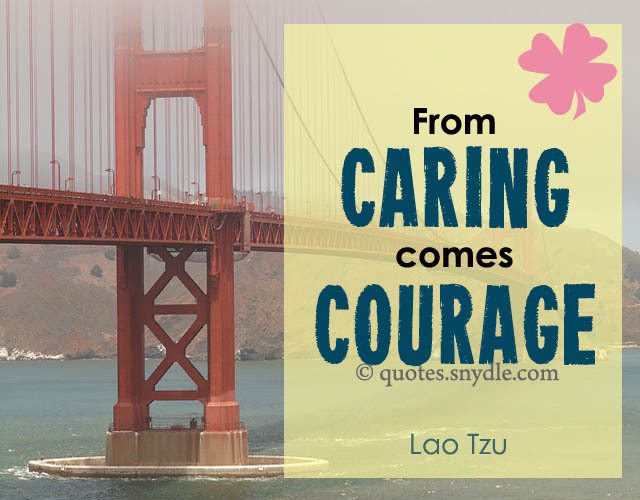 There is no one who has ever lived who can claim never to have had moments when they felt that the circumstances they were facing were too overwhelming. 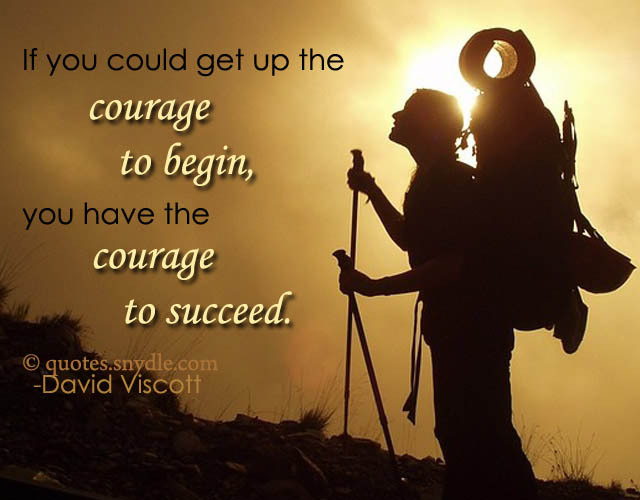 The temptation to quit was great and sometimes it may have seemed like the only option was to give up. 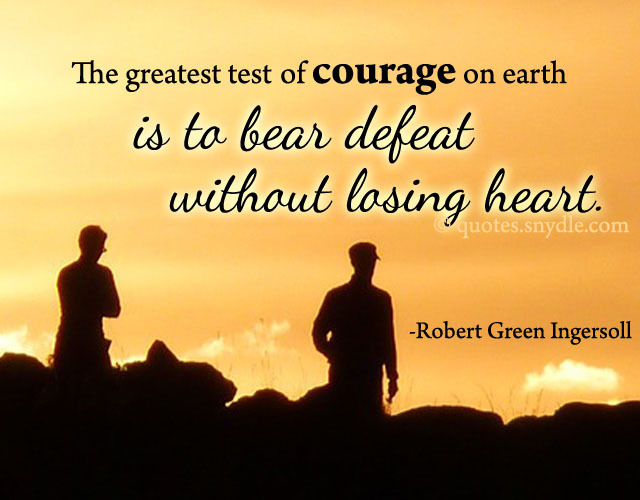 But these brave souls forged on and refused to let their fears determine their futures and fate. 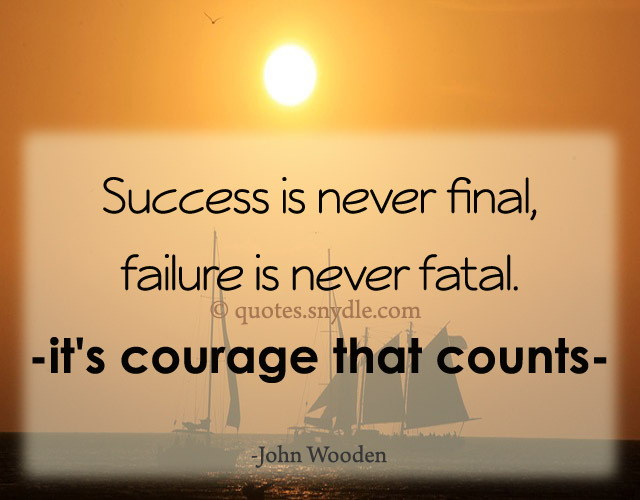 And that is why we have so many quotes and sayings written by famous and little known people about courage. Some literally stared death in the face but refused to back down and came out as the victors. What situation are you facing today? What circumstances are causing you anguish and despair? 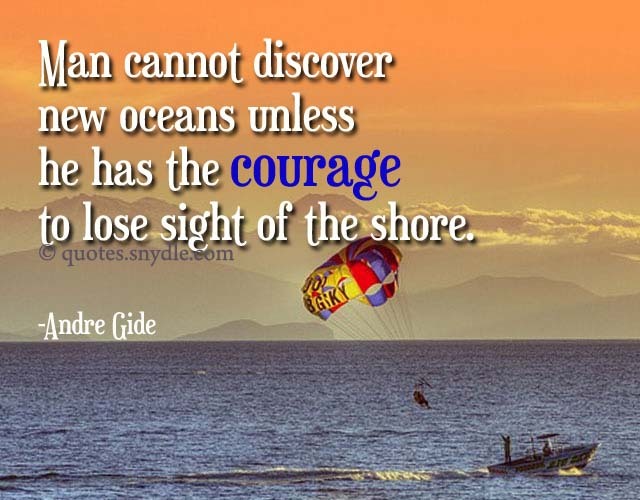 Take time to read the quotes that have been written through the ages and renew your strength. Find inspiration in the words of people like you who almost gave up but decided to give it one more push, and then changed their history. 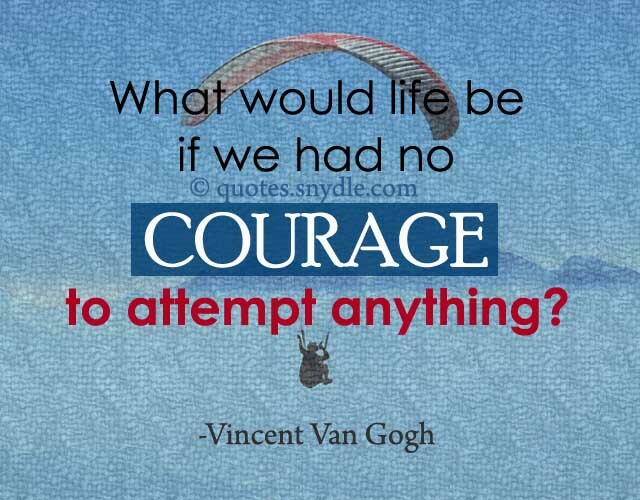 What would life be if we had no courage to attempt -anything? 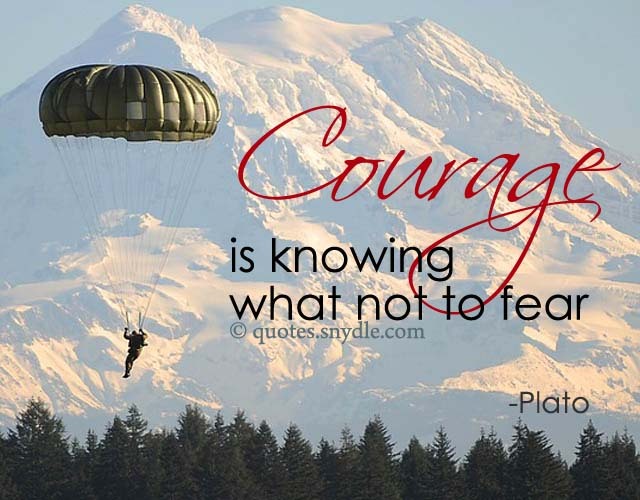 Courage is being scared to death… and saddling up anyway. 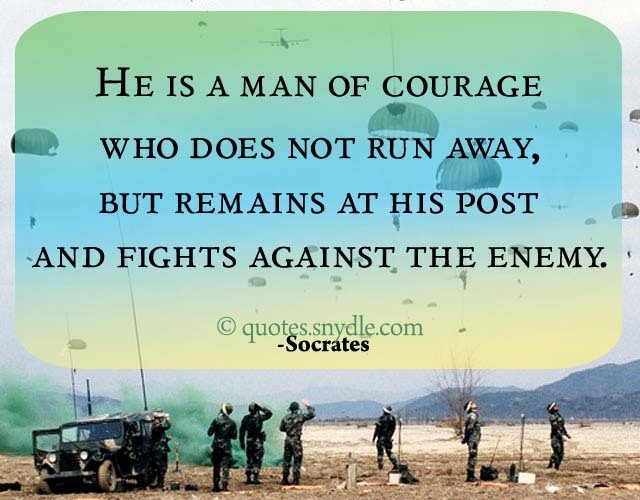 I know of no higher fortitude than stubborness in the face of overwhelming odds. 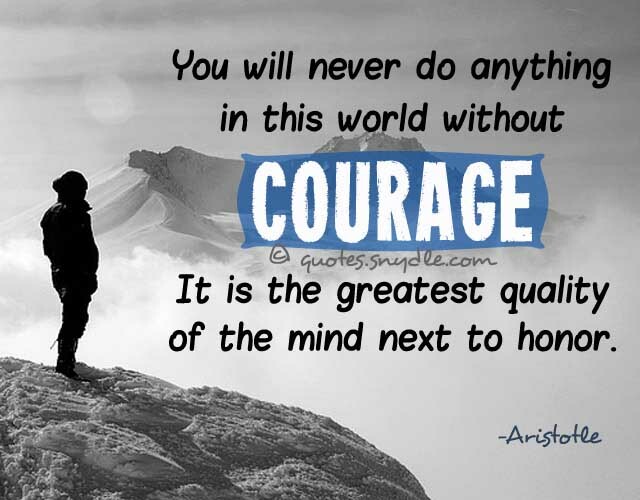 Courage is contagious. 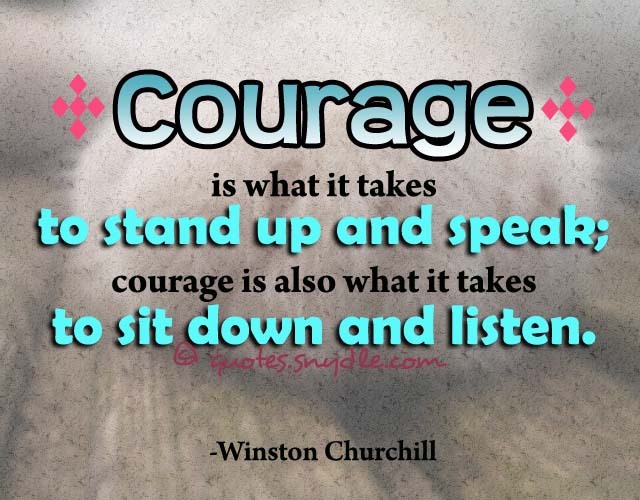 When a brave man takes a stand, the spines of others are often stiffened. 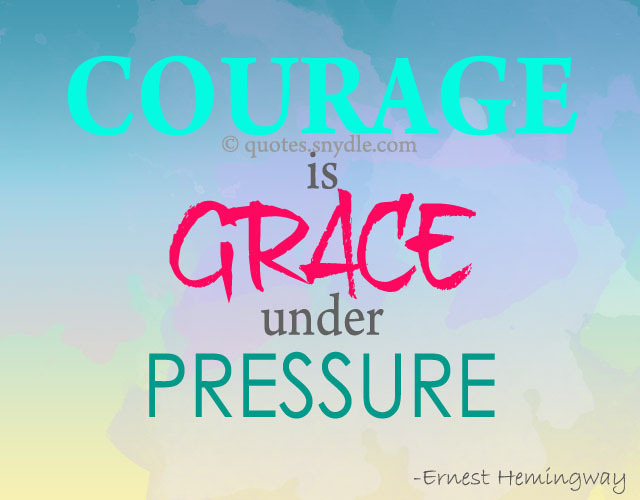 It is only necessary to have courage, for strength without self-confidence is useless. Hello, I'm Haley! A certified coffee addict, A cat lover, loves to listen to Metal type of music(where i can find solace), loves to read English novels, and now trying something new - graphic designing - let's see.